Looking for a cup of hot coffee on a cold morning? There are plenty of Highland Lakes coffee shops — and even a tea bar — to get your fix. Black Spur Emporium and Gallery, 100 W Main St. in Johnson City — Johnson City is a charming town, and perfect for Hill Country shopping. Pick up a cup of coffee before you explore the shops around the city at Black Spur Emporium. While you’re waiting on your fresh-brewed latte, be sure to browse the shop’s selection of home and garden goods such as pottery, chandeliers, mirrors, original art, western themed knick-knacks and so much more. Black Spur Emporium serves up custom orders 11 a.m.-5 p.m. Thursday and Friday, 11 a.m.-5 p.m. Saturday and 1-5 p.m. Sunday. For more information, visit blackspuremporium.com or call 830-868-7675. Cuvee Coffee Roasters, 22601 Texas 71 in Spicewood — If you prefer to brew your own coffee at home, Cuvee is a local fair trade and sustainable coffee roaster. You can visit the online store to buy a bag of its high-quality beans. The facility is open Monday through Friday by appointment only, but once a month, it hosts a Roastery Tour. For only $15, you get a full facility tour, a tasting experience and a 12-ounce bag of coffee to bring home. Cuvee also hosts a variety of labs during the month to educate baristas on espresso techniques, milk science and even latte art. Go to cuveecoffee.com to browse the online store, sign up for a tour or register for a lab. Call the roasters at (512) 264-1479. 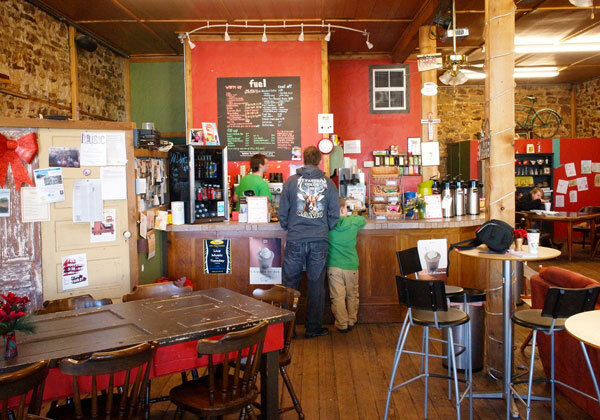 Fuel Coffee House, 106 E. Main St. in Llano — Fuel's tagline is “Coffee • Music • Community,” and they really do take their community seriously. The coffee house doubles as a venue, hosting a wealth of events every week. 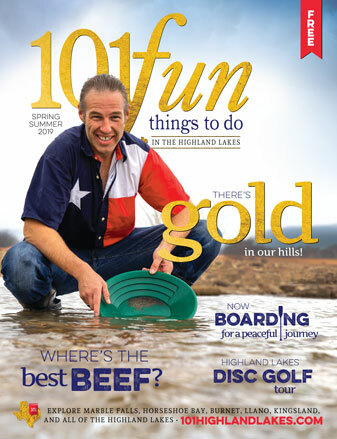 These events range from Highland Lakes Ukulele Club meetings to Bible studies to Jazz Night. It’s open 7 a.m.-5 p.m. Monday-Friday and 8 a.m.-5 p.m. Saturdays. It is also open 5-6 p.m. Sundays for a free community meal. Go to fuelcoffeehouse.org for a list of weekly events or call (325) 247-5272‎. The Antler's Inn, 1001 King Court off RR 1431 in Kingsland — Kingsland’s favorite coffee shop has moved! After 14 years at its location at 1907 RR 1431, owners Rick Gregory and Drew Gerencer took over the beloved and historic Antlers Hotel and moved their coffee house into the inn’s original kitchen and dining room. Here, you can pick up a regular drip coffee or an artfully crafted espresso drink. They serve pastries as well, but be sure to check out their full breakfast, lunch and dinner options across the street at Grand Central Cafe. Call (325) 388-4411 for more. Mojo Coffee, 609 E Polk St. in Burnetand 1300 Lantana Dr in Marble Falls— Drive through or hang out at this coffee shop, with locations in Burnet and Marble Falls. Mojo Coffee is the perfect local alternative to the generic drive-through. 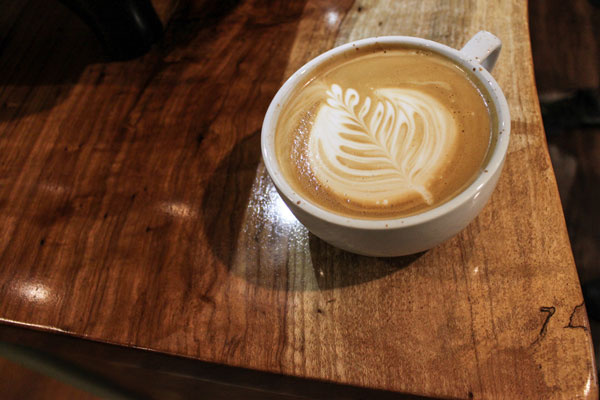 The shop prides itself on its fresh blends of 100 percent fair trade, organic coffee and espresso drinks. The creative coffee menu offers sweet-tooth flavors like Snickers, Almond Joy and Milky Way. If java isn’t your thing but you still need a kick of energy, Mojo Coffee also makes the Burnet Bulldog: a unique blend of Red Bull, Passion Fruit and Blue Raspberry. You can also order smoothies, snacks and other coffeehouse staples. Pick up a stamp card to show your loyalty and earn a discount. Mojo Coffee is open Sunday-Thursday, 6 a.m.-7 p.m. and Friday and Saturday, 6 a.m.-9 p.m. Visit mojodrivethru.com for more information. Numinous Cafe & Roaster, 715 RR 1431 East in Marble Falls — Numinous is a new shop, celebrating its soft opening in October and its grand opening the first week in November. Alex Payson, who has been in the coffee business for a decade, roasts and brews the coffee in house. He has the process down to a science. (Literally, because he holds a degree in biochemistry.) And that process is transparent. The mechanical roaster stands proudly at the front of the shop, giving you a full sensory experience as you walk in the door. But what does “numinous” mean? Alex defines it as a feeling of being in the presence of something greater than yourself — a feeling everyone can understand and appreciate. His mission is to create a community gathering space that will make people happy so his guests at Numinous leave feeling better than they did before they arrived. Go to numinouscoffee.com for more. The Place Downtown, 1910 W 1431 in Kingsland — Food, coffee, and community: that's what you'll find at The Place Downtown in Kingsland. The restaurant has a lot to offer, serving breakfast as well as a wide array of sandwiches, wraps, and salads. All items can be taken to-go. The Place Downtown also serves up creative smoothies, such as the "Peaches and Cream" and the "Mango-Mi-Bananas." For dessert, order a scoops (or two!) of italian ice. The cafe and deli is open 7 a.m.-8 p.m. Monday-Friday, 7 a.m.-2 p.m. Saturdays, and closed Sundays. For more information, visit them online at facebook.com/theplacedowntown or call (325) 388-6542. Unshakable Grounds, 134 South Main St. in Burnet — Located on Burnet’s courthouse square, the motto of this shop is “Spreading the word of Jesus one cup at a time.” While the coffee shop is not church-run, the owners, Michael and Cindy Brown, feel strongly about their message of love and grace through Christ. 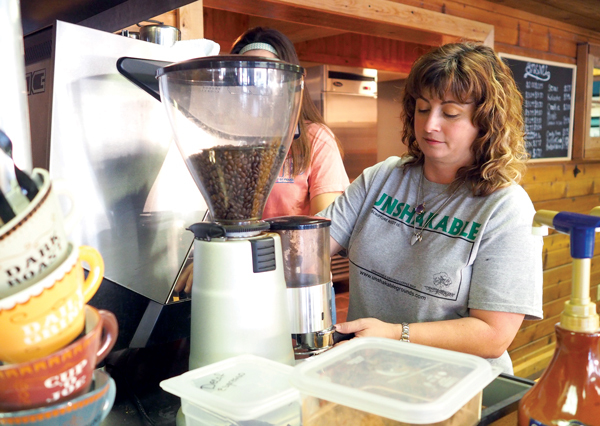 Unshakable Grounds serves much more than just coffee and food. When their son died in a tragic auto accident at the age of 17, the Brown’s were inspired to open their coffee shop as a place for the community — especially the local youth — to gather. “We stay open later on [weekend nights] — but not past midnight — to give kids a place to come and hang out,” Cindy said. Read more about the Brown’s inspiring story here. Unshakable Grounds is open Tuesday - Saturday, 8 a.m.-5 p.m., with extended hours on Fridays from 7 p.m.-11 p.m. Visit unshakablegrounds.com or call 512-934-4606 for more information. 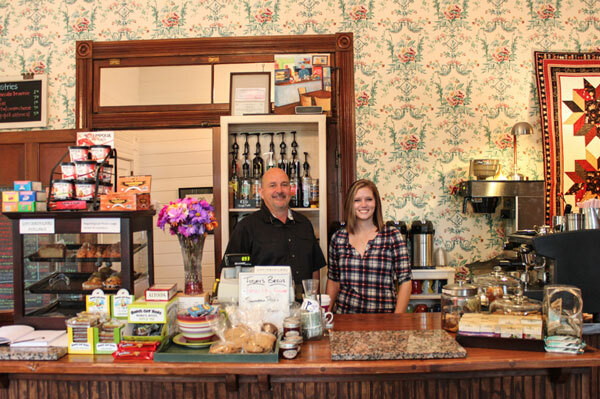 Sana Vida, 507 RR 1431 East in Marble Falls — If coffee isn’t your bag, visit Sana Vida’s tranquil tea bar. 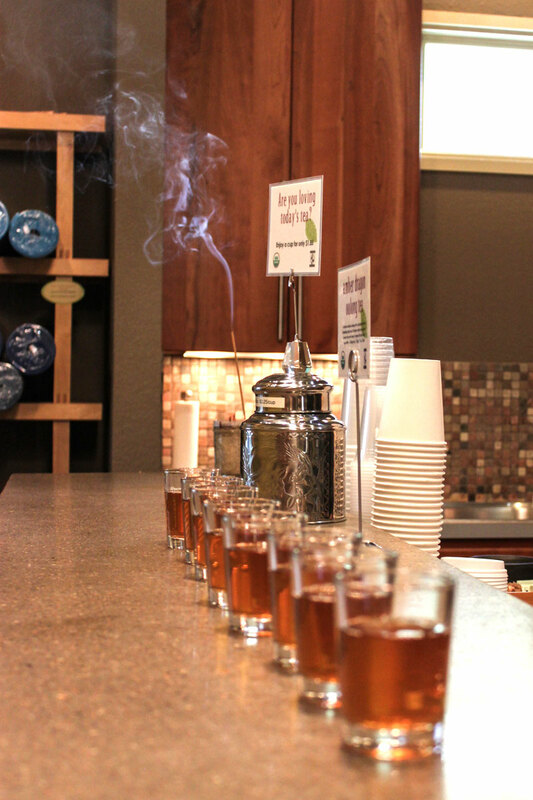 Sana Vida serves a worldly variety of rare, high-quality loose leaf teas (botanical, green, oolong, black, white and more), but they are especially proud of their specialty drinks. Their most popular is the “Mojteato,” a mix of green tea matcha, lime, mint and sparkling water. Sana Vida’s mission is to educate guests on tea and all of its magnificent health benefits and to get them to step away from the Southern-style sweet tea Texans are known to love. In addition to the tea bar, Sana Vida offers a variety of services, including yoga classes, acupuncture, massage therapy and restorative skincare treatments. Sana Vida is truly a little oasis worth a visit. It is open 8:30 a.m.-7 p.m. Monday-Friday, 8:30 a.m.-5 p.m. Saturday and 10 a.m.-5 p.m. Sunday. Go to sanavida.info or call (830) 693-6000 for more.